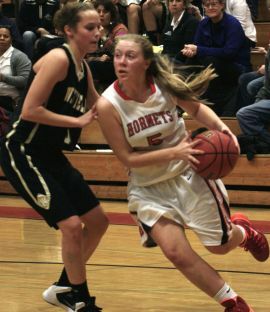 Allison Guengerich a smart hard working basketball player from the class of 2016! 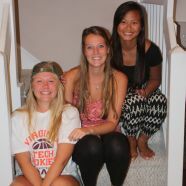 Allison Guengerich has been told by her teachers that she is a great friend and responsible. She was elected as a class officer as early as Elementary School. She immediately was attracted to basketball by the physical nature of the game. Alli loves practice and the work that goes into being a great athlete and player. She also likes team sports and enjoys the team work aspects of basketball. 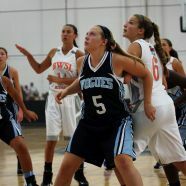 Allison started playing competitive basketball in AAU on a National team in 4th grade. She has played on a National team every year since then. 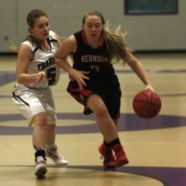 Alli is one of most celebrated players in the Potomac Valley. She has won 5 Gold medals and been on teams that have finished 3rd in the Nation twice, and in the sweet 16 four times. She has been a varsity starter on my high school team as a freshman and was named to the All-Tournament team on several occasions in high school. 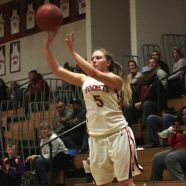 Allison holds the all time record for most 3point shots made (6) in a game in the history of my high school program. Allison Guengerich.....a dynamic 3pt Specialist! 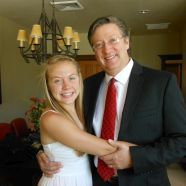 Allison Geungerich is a very intelligent basketball player having played the sport from a very young age. 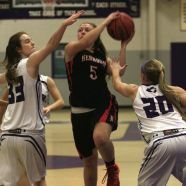 Alli posses a good jump shot but excels at the 3 point line where she set a record for most 3pt field goals made in one game at Herndon High School. 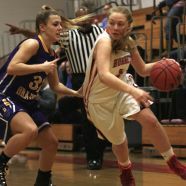 She displays great leadership having started at the varsity level since she was a freshman. She continues to develop ball handling and passing skills as she looks forward to an opportunity to play at the college level. She has all the tools and skills to be a successful player in College. Allison is a great student and her teachers are very complementive of her work in the classroom. She is taking 3 AP courses and 1 honors course to prepare herself for the challenge of College coursework. She will be taking the SAT/ACT in the spring of 2015. She is also an active participant in DECA at her school. She will have no problem being a successful student athlete at the College level.